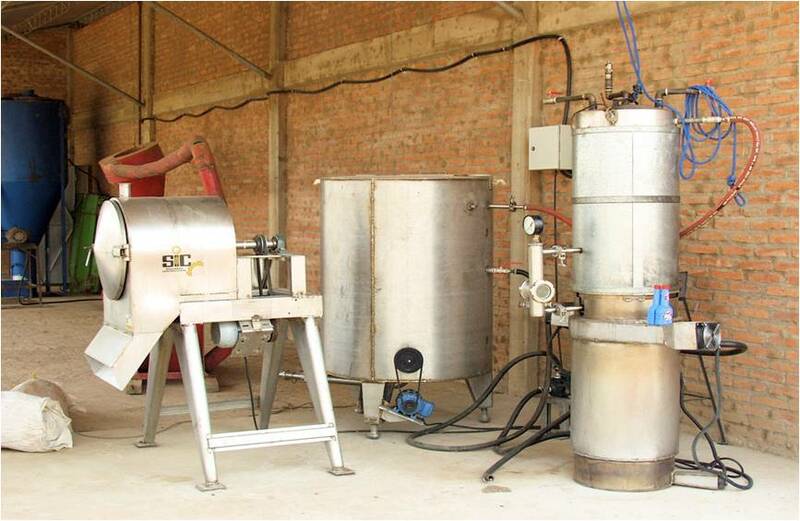 Photo1: right side the gasifier/ water boiler, center the water/ soymilk tank and left the rotating separation sieve. 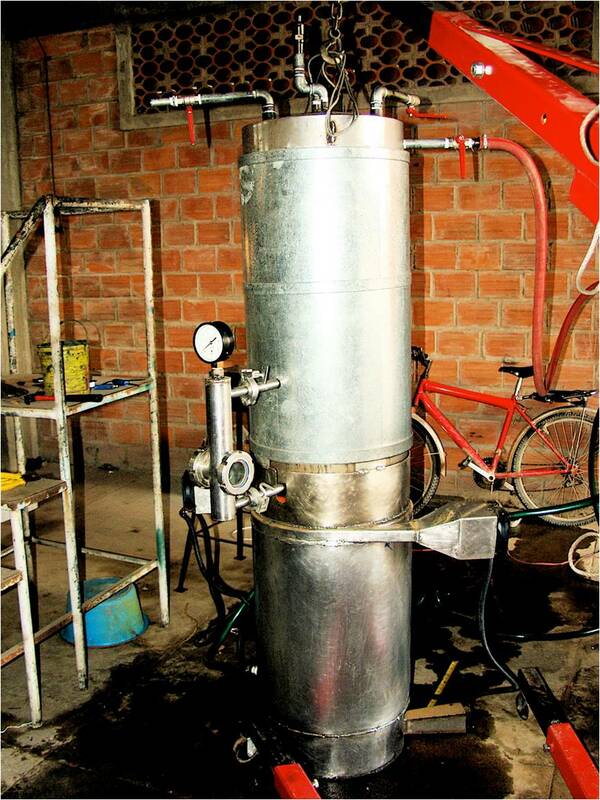 The gasifier is build out of stainless steel S 316. The lower part is dimensioned for up to 25 kg of sawdust and wood shavings. The upper part consists of an inner hot water boiler and outer water filled jacket. 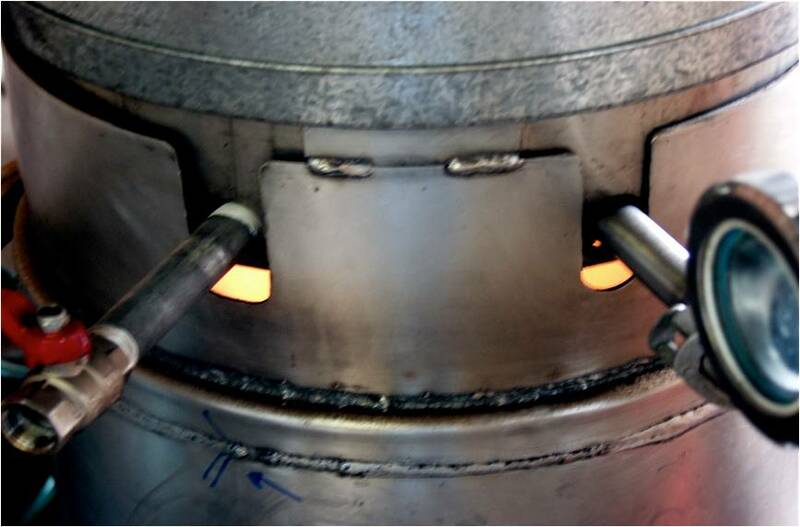 The water enters on top of the outer part and leaves on top of the inner boiler, the jacket and the inner boiler are connected just above the flames. The bottom of the boiler is conical reaching into the gasification space of the lower chamber. At the side of the top part of the lower chamber with a distribution channel air is introduced through 6 mm holes in the channel between inner boiler and outer jacket, and the gas starts to burn right at the point were the conical part of the cylinder bottom is connecting to the cylindrical part of the cylinder. 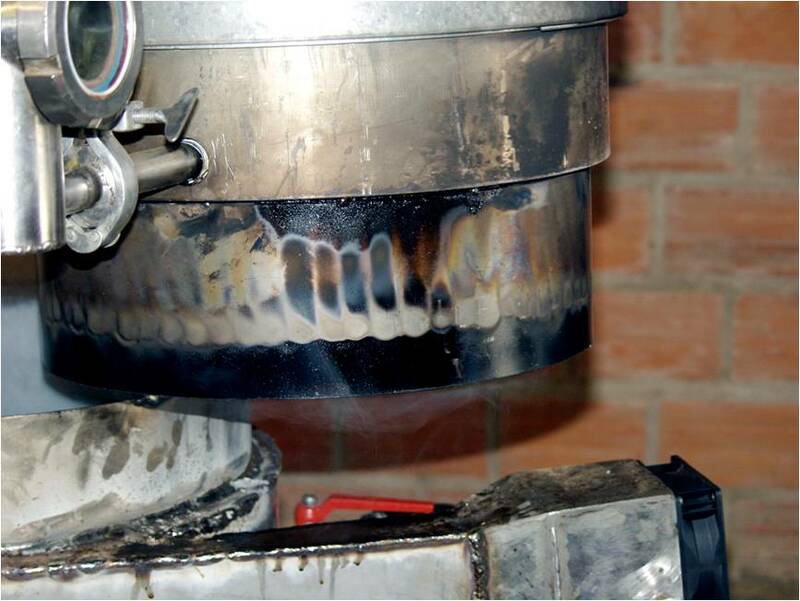 The gasifier has a perforated metal bottom 3 cm above the real bottom, as an air distribution. Air is fed with a recycled scrap computer ventilator (1.9 Watt) into the double bottom. On top of the gasification part, two 9-Watt scrap computer ventilators blow in the air for the flame ring. 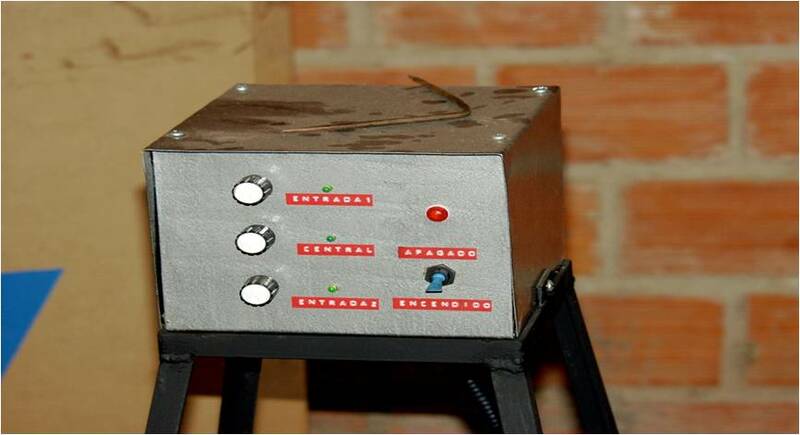 Both ventilators (bottom and top) are regulated with a potentiometer after lighting the sawdust from the top. The boiler and jacket are fed with water from an 800liter tank where the milled soy is introduced once the water is near boiling. 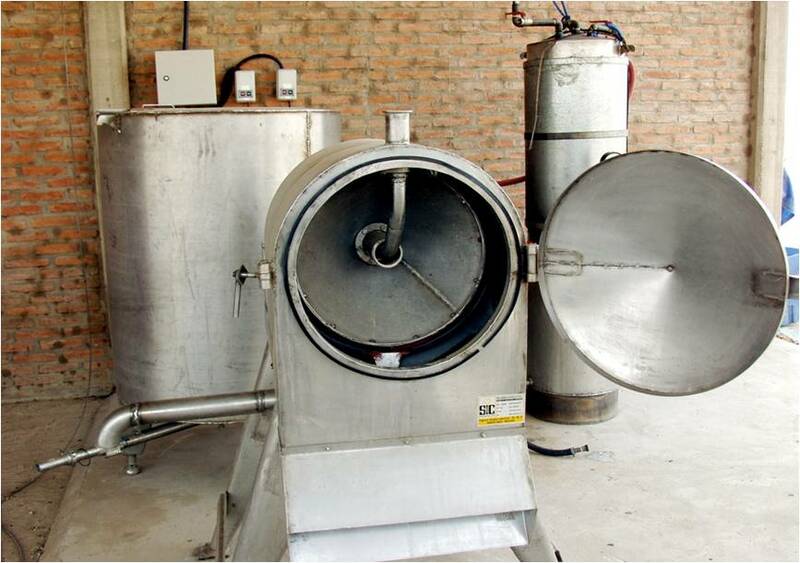 After introduction of the milled soybean, the circulation pump is shut down and the return valve from the tank closed. Now the boiler and water jacket work as steam producer introducing steam into the hot water tank. The soy fines are stirred some 20 minutes and then a rotating, concave screen separates the solids. The milk is fed to the calves and the solids to the cows. Average time, for heating up some 250 liters at this moment, takes some 45 minutes. 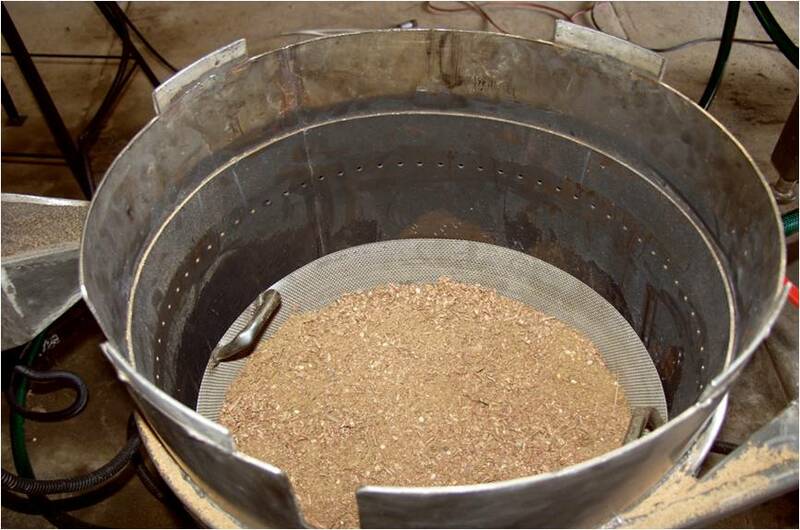 The average quantity of sawdust air dry needed to heat up 200 liters to some 95 degrees is around 5.5 kg. Every week we spray some cetan- booster at the heat exchanger areas to burn of all suds formed.